Looking for an apartment in NYC is oddly similar to looking for love—you need to be willing to woo and be wooed, know how to beat out the competition, and of course, be prepared for rejection. But at least with apartment-hunting—unlike dating—there’s an easy way to figure out whether or not pursuing a particular prospect is worth it. Just remember that because many co-op buildings either severely limit or completely prohibit subletting, this cap rate is more useful if you’re searching for a condo. 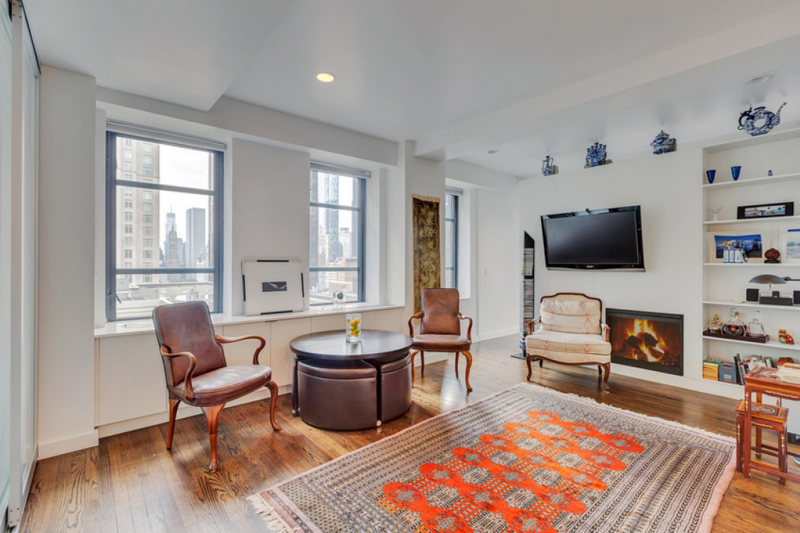 In this week’s round-up, you’ll find an Alphabet City co-op that allows pieds-à-terre, a Lincoln Square two-bedroom with a functioning electric fireplace, and an East Williamsburg one-bedroom with a Bluetooth sound system and in-ceiling speakers. All have estimated cap rates of between two and six percent, which makes them wise investments, says RealtyHop. A functioning electric fireplace heats up this newly renovated Lincoln Square condo loft, which also features high-end finishes and an open kitchen with stainless steel appliances. 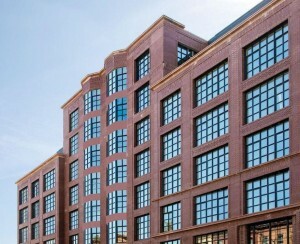 The boutique building has a full-time doorman, a live-in super and a private circular driveway. Maintenance is $970 a month, taxes are $947 a month, and the estimated cap rate is 4.48%. With a wall of oversized windows that look out on open city and garden views, a windowed eat-in kitchen, loads of closets, and a separate dressing area, this 500-square-foot studio feels even larger than it is. The co-op building, Chatham Green, has a live-in super, a full maintenance staff and a laundry room. Amenities include a community room, a library/book-sharing room, a bike room, a game room with a kitchen, and on-site parking for just $200 a month. Maintenance is $692 a month and the estimated cap rate is 5.31%. This downtown Manhattan two-bedroom has high ceilings, a windowed kitchen, a windowed bathroom, and relatively low maintenance charges of $300 a month. The co-op building has a large landscaped backyard, a bike room, a super, and permits both parental purchases and pieds-à-terre. The estimated cap rate is 4.98%. This one-bedroom is located in a full-service doorman building with a concierge, a fitness center, a relaxation lounge, a party room with a wet bar, a billiards room, a media room and laundry on every floor. Maintenance is $855 a month, taxes are $176, and the estimated cap rate is 4.27%. This sunny, high-ceilinged Brooklyn one-bedroom has in-unit laundry, an open chef’s kitchen with a large granite island/breakfast bar, and a marble bathroom with a Jacuzzi tub. The pet-friendly boutique building offers private storage and bike storage, and has a J51 tax abatement and low monthlies—maintenance is $251 a month, and taxes are just $120. The estimated cap rate is 4.24%. Located in the heart of East Williamsburg, this two-bedroom condo offers up 10-foot ceilings, a state-of-the-art Bluetooth sound system with in-ceiling speakers, and a large kitchen. The pet-friendly building has on-site laundry. Monthly maintenance is $594, taxes are $175, and the estimated cap rate is 2.64%. Just one block from Brooklyn Bridge Park, this two-bedroom floor-through condo in Brooklyn Heights has a large, open-plan entertaining room; a chef’s kitchen with stainless steel appliances; spacious bedrooms; and a renovated bathroom with a Jacuzzi tub. The pet-friendly condo building has a free washer/dryer in the common basement, as well as shared storage. The unit is listed for $1,025,000, maintenance is $350 a month, taxes are $376 a month, and the estimated cap rate is 4.13%. RealtyHop is a search engine for NYC apartment buyers looking for undervalued or great investment properties. RealtyHop listings include estimated investment potential in the form of a cap rate: a calculation derived from the annual operating profit divided by the purchase price.